PJ Masks are your little one’s superheroes that will swoop into action at night to make things right for everyone at daytime. 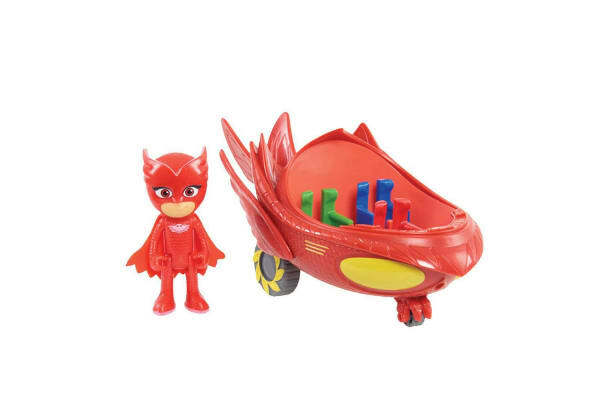 This PJ Masks figure and vehicle can help you solve mysteries and take on a mission to stop the pesky villains from causing trouble without leaving a clue behind. 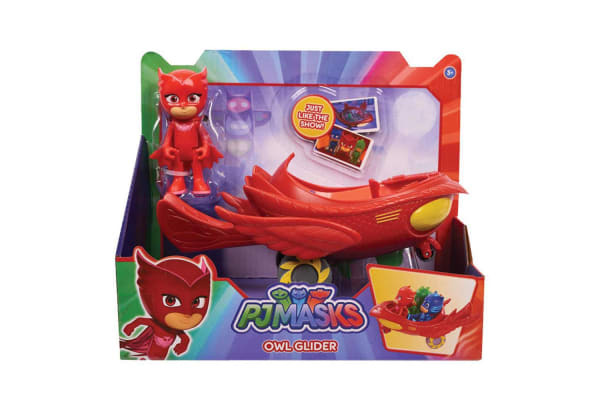 With Owlette and her Owl Glider, you can flap your super powerful owl wings and send the bad guys airborne. 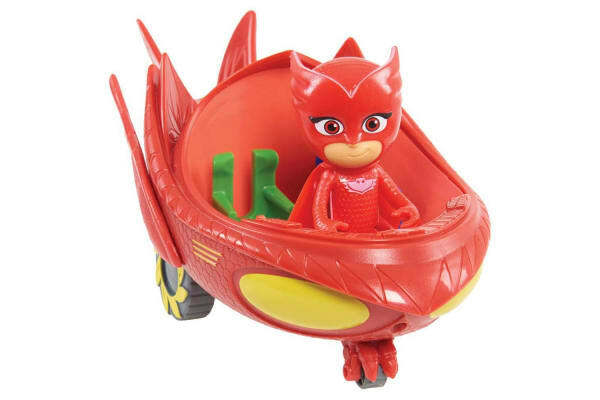 Bring the excitement right into the hands of your kid with this PJ Mask Vehicle and Figure and let them go on their way, into the night to save the day!